This course is accessible at all times to any enrolled student who would like a general legal background before beginning the paralegal program. It is a self-guided course that is designed to introduce and acclimate the student to the world of law and the manner in which the law and the American justice system operate. The course, which consists of reading material and prerecorded lectures, reviews the structure and operation of the American government and the state and federal justice systems. The course introduces the student to basic points of various substantive and procedural areas of law that will be studied in greater detail as the student progresses through the curriculum. It includes a discussion of the various sources of law, their importance and hierarchy, and the manner in which they should be applied in the legal analysis of a fact pattern. 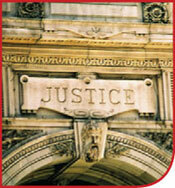 Special emphasis is placed on the review of legal ethics and the role of the paralegal in the law office. An overview of how to perform legal research using LexisNexis is also included. This instruction introduces the student to the use and availability of online law libraries as well as other resources and research tools, so that the student acquires the basic legal research skills necessary to complete course assignments. Research techniques are reviewed and enhanced in greater depth in the "Legal Research, Writing and Civil Litigation" course and also reviewed during each course of the legal curriculum.